A-list Acoustic Guitarist combines the realism of sampled loops with the flexibility and control of a live instrument. 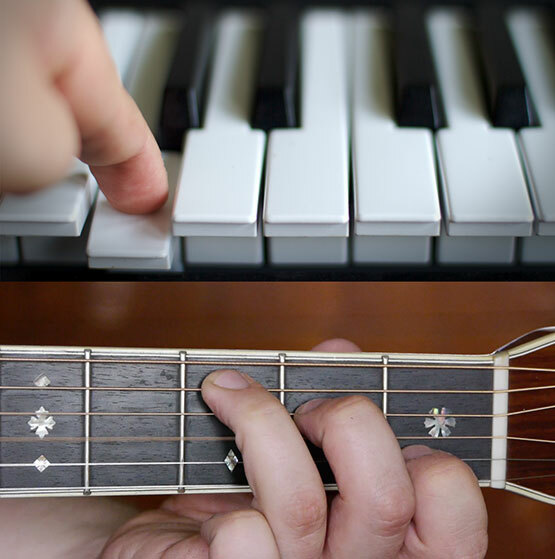 Play the huge selection of recorded guitar phrases live from your MIDI keyboard with just one finger. You’ll be laying down great-sounding guitar tracks in no time. Shimmer control for added silvery high-end to the signal and Fret noise controls on A-List Acoustic Guitarist. More content: 33 new styles and 44 new patches. 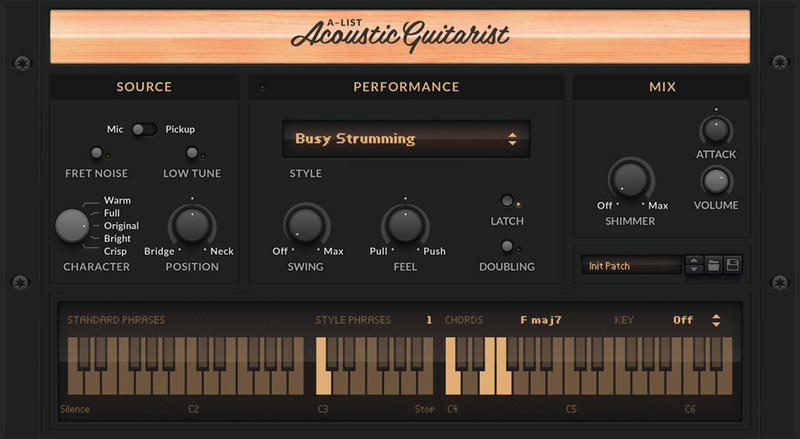 More than just a library of guitar phrases, A-list Acoustic Guitarist is a perfectly playable instrument that adds the sound and performance of a world-class studio guitarist to your track. Simply select a style and play chord on your MIDI Keyboard. A-list Acoustic Guitarist will strum along, in the right tempo and the right key. Add life and variation to your track by switching between phrases in real-time from the lower octaves on your keyboard. Acoustic Guitarist is a great songwriting tool. Hit a note to trigger a chord. Explore chord progressions and scales. Refine your sound with alternate voicings: add more notes to your chords to try out suspended, diminished, 7th chords and much more. This is a perfect instrument to start your songwriting in. Select the tonal character of the instrument and recording method: pickup or mic. You can set the key of your song and Acoustic Guitarist will pick the right chords for you as you play one finger chord progressions. Or leave it off and have all chords and voicings available to you. Acoustic Guitarist makes chord progressions easier than ever. Select any of the 50+ styles to find a musical feel that matches your song. There are over 600 phrases in total. Add silvery high-end to the signal and Fret noise controls. You can select any of 34 available phrases in real-time from the midi keyboard. For each style selected, there are 11 style-dependent phrases and 23 ’standard’ phrases that are common to all styles. Selects the amount of swing, or shuffle, in the playing phrase. For a wider stereo sound, enable the doubling feature. This sets the attack of the sound. From a softer, fingered sound to a harder picked sound.